A word typically reserved for stoic World War II posters and modern Russian cable TV takes on new meaning with the delightful Pokémon-themed Twitter account Bulbasaur Propaganda. A quick scroll through @BulbaGanda shows his efforts to change all that. Since you guys love Pokemon facts, here's a very obscure one. 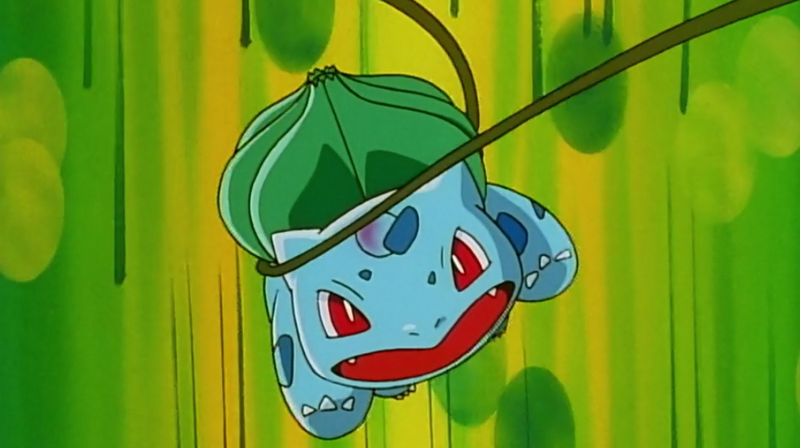 Most people think that Bulbasaur was created by Ken Sugimori, while in reality Nishida made Bulbasaur and Ivysaur from Sugimori's first design of Ivysaur. Ken Sugimori then completed the line with Venusaur. When Ivysaur go to sleep, their flower also sleep. There's a Bulbasaur statue standing by a grave of a kid who died loving his partner till the end. And, of course, miscellaneous Bulbasaur propaganda. During a reunion between Ash's Kanto starters, Bulbasaur stood on two legs to welcome his old friend Squirtle with open arms even though Bulbasaur walks on 4 all the time.